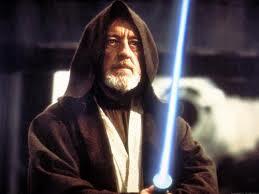 Goodly: Did You Know Alec Guinness was Once a Copywriter? In 1932, fresh out of school, Alec Guinness became a copywriter for London-based Arks Publicity, where he wrote ads for Rose’s Lime Juice. Earning only 20 shillings a week (the equivalent of about 70 US dollars today), Guinness quit his copywriters' job to try acting. To break onto the stage, Guinness cold-called "the greatest Hamlet of his generation," John Gielgud. Gielgud advised Guinness to take lessons from actress Martita Hunt. After the second lesson, Hunt told Guinness, "You'll never be an actor. You've got no talent at all." But he stuck out the lessons and in a year won a scholarship to drama school. In 1934, Guinness landed a minor role in Gielgud's second production of Hamlet and his acting career took flight.